Getty at Dusk, originally uploaded by Temeculamom. 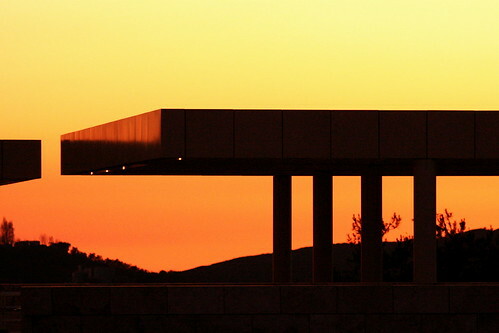 Got to make a quick trip to the Getty with my husband this past weekend. Just a couple of hours, but it was so nice to be alone with no children on a “real” date like we used to do. That is a real bargain. All you pay for is the parking. Thank you to my sister, Nomi, for watching my kids and giving me a few hours of adult fun. ~ by bekaboo on March 2, 2007.